You think you have seen everything there is to see in Lyon? You would like to feel like an adventurer and wander through the streets, looking for a mysterious place? Put on your detective hat and try to find those few hidden treasures. And if you know of any other, share them with us! 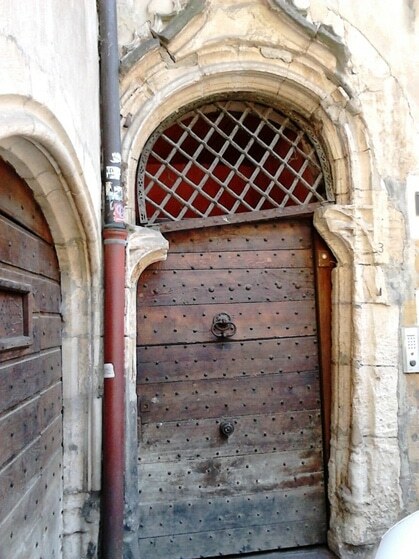 Can you find this amusing Renaissance door? It is located somewhere in Lyon Old Town and withstood every landslide throughout the centuries! 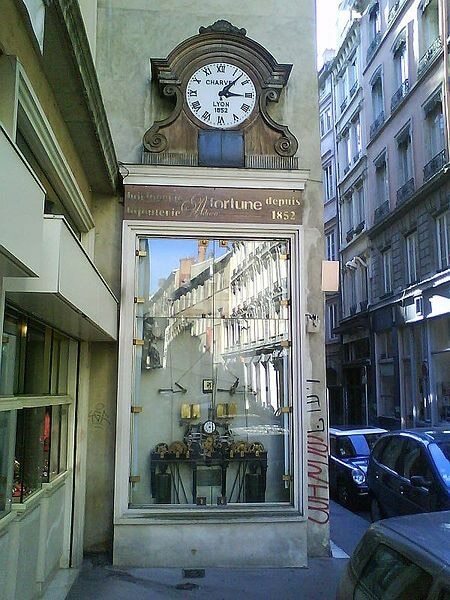 Charvet’s clock in Lyon Presqu’île. This clock was created by maison Charvet and was set up in 1864. There are 5 bells and 4 automatons emblematic of Lyon’s folklore (Arlequin, Polichinelle, Guignol and Gnafron). The mechanism is from Bailly-Comte. Lyon’s municipality committed in a fight to buy it from its original owner. It became official property of the city in 2012. 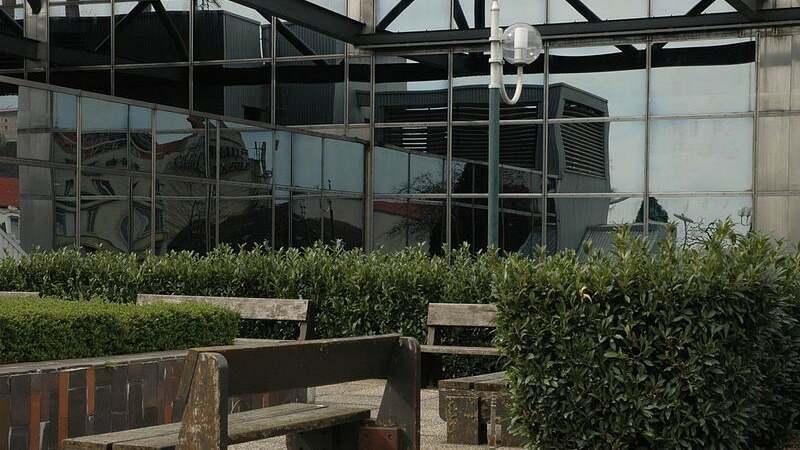 An improbable place, on the fourth floor of a dismal train station, somewhere no one thought of. Gardens suspended between heaven and earth. Individual parcels and collective areas in the heart of Lyon. This cobblestone marks the place where President Sadi Carnot was assassinated in 1894 in Lyon. 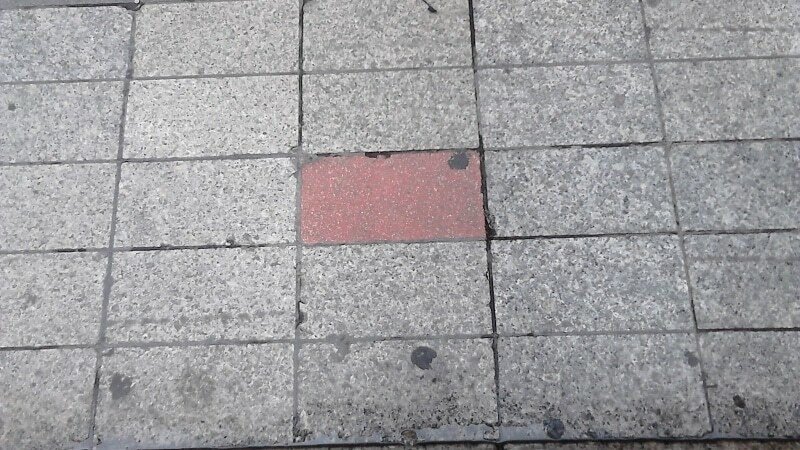 A red cobblestone is inserted somewhere in one of Lyon’s street to mark the place where President Sadi Carnot was assassinated in 1894. Clue 1: The street is a great place for shopping. 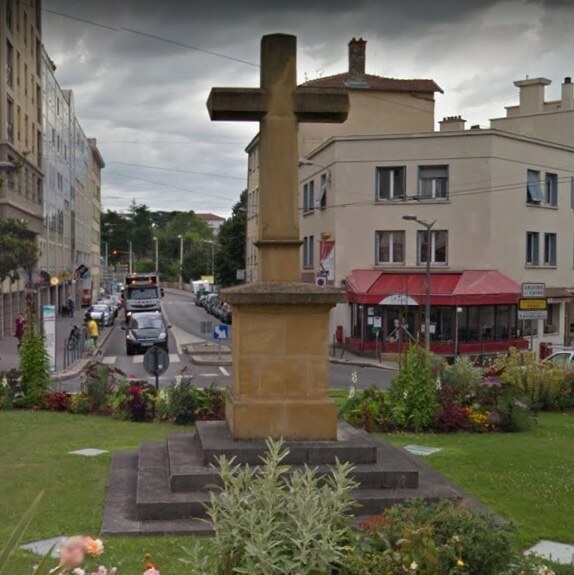 This area in Lyon was named after this typical cross made of yellow stone. Numerous crosses were built on this square but got destroyed every time. The one you can see today was erected in 1997.